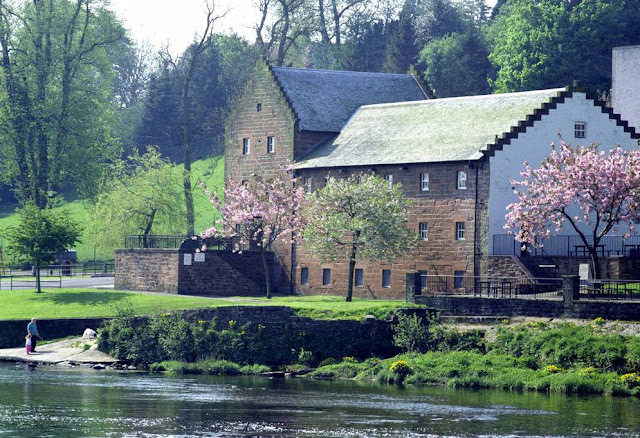 The Robert Burns Centre Film Theatre Dumfries Scotland. 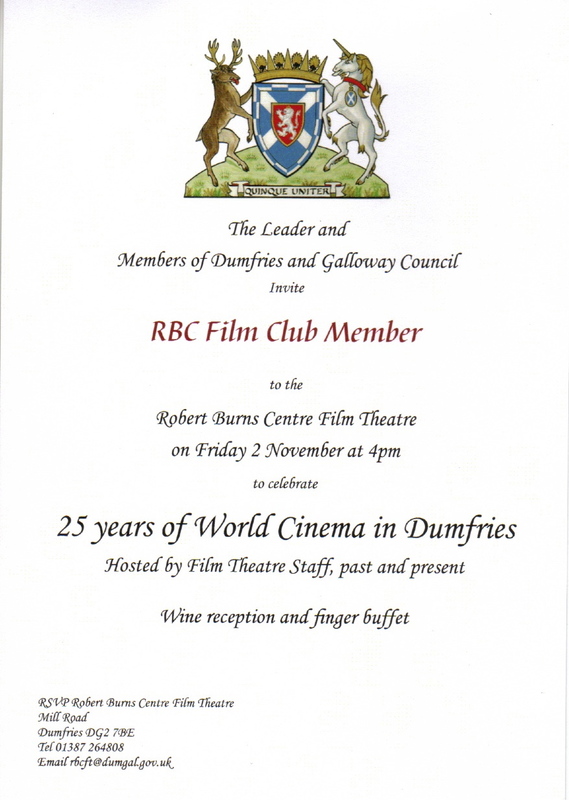 On the 3rd November 2012 the Robert Burns Centre Film Theatre celebrated 25 years of exceptional and friendly customer service coupled with screenings of some of the best movies made over that period from all over the world and from every different genre including documentary’s and feature films which in turn has given the film loving public in Dumfries and Galloway, South West Scotland a opportunity to broaden their understanding, their appreciation and their love of cinema. 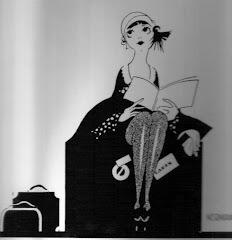 This grand occasion was commemorated by a martini and champagne reception that encouraged a James Bond character dress theme. 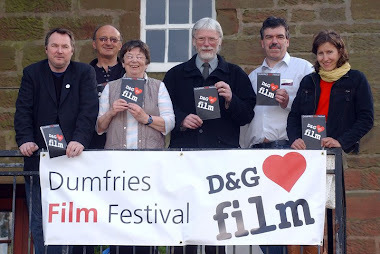 The previous evening the RBC Film Club along with civic dignities had been invited by The Leader and Members of Dumfries and Galloway Council to attend the Film Theatre for a civic reception. Hosted by film theatre staff past and present, various speeches were made giving us, the guests, an interesting outline to the previous 25 years, before the new Film Officer Tom Benson articulated the final few words of the evening we were shown an amusingly and well-made local short film. 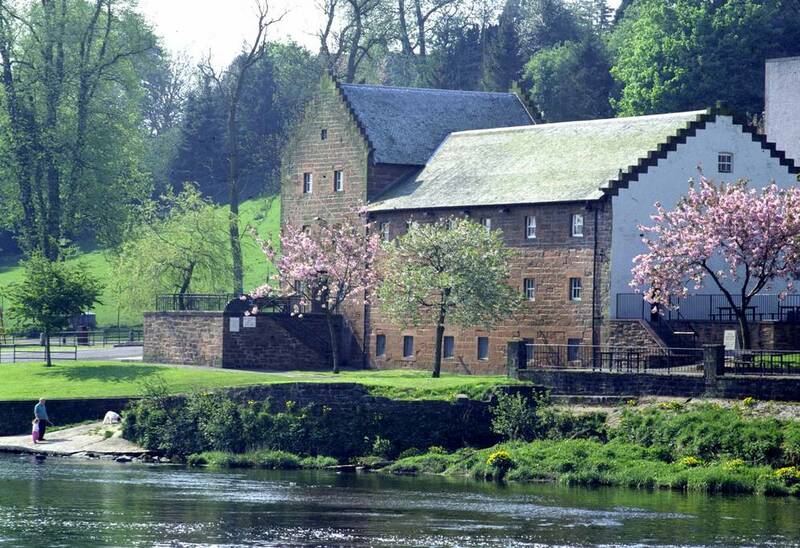 Filmed at the Dumfries Academy and called Vampire Musical it demonstrated how home-grown talent is encouraged and importance of the RBC at giving locally made films their first public performance. 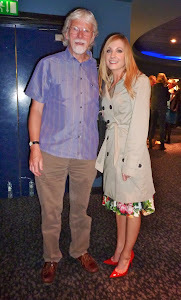 Happy birthday Robert Burns Centre Film Theatre and many more of them. Now back to its most important business: the films. A world weary James Bond. Its strange how a film can make you feel like a young teenager, waiting eagerly in your cinema seat for the lights to go down and the film to begin and consequently following the twists and turns of an exciting and action filled narrative from the pre-title sequence right up to the films exhilarating conclusion and watching the final credits to discover you have just spent a speedy 140 minutes traveling the world. 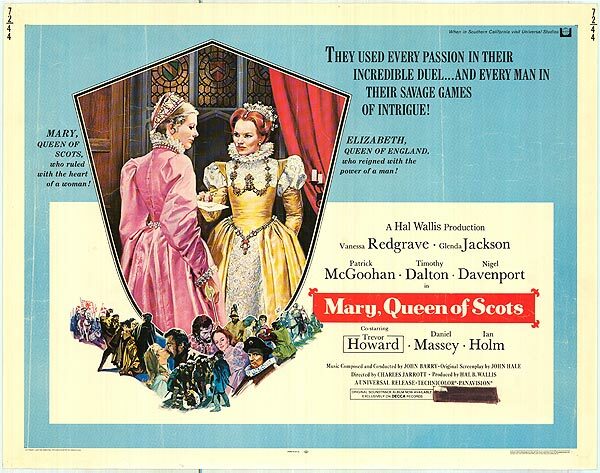 Of course the film I refer to is the latest outing for 007 himself Mr James Bond, licenced to kill on behalf of Her Majesties Government. 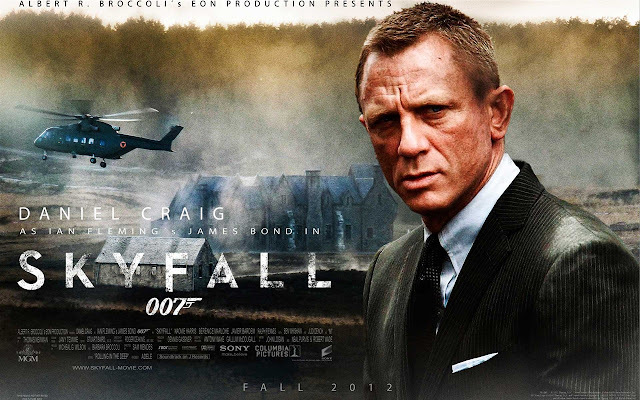 Skyfall (2012) is the 23rd film in a successful 50 year franchise and with its unrelenting action sequences that barely purse for breath, a story that grips you by the throat and a film that takes you back to the very essence of Ian Fleming’s Bond, it’s one of the best. Sam Mendes first outing as a Bond director has been widely praised as a more psychological complex character study than previously seen with it’s closer connections to M (the formidable Judi Dench) and returning our hero back to his Scottish roots. But don’t panic you still get the normal mix of beautiful women, explosions, chases, shootouts, a certain amount of brand promotion and of course fancy cars including a very welcome guest appearance, cheered by the RBC audience, of the Aston Martin DB5 that first appeared in Goldfinger in 1964. In his third outing as the British agent Daniel Craig has really staked a claim to be the best participant in this great role, looking older and a little dog-eared he can still pull if off. 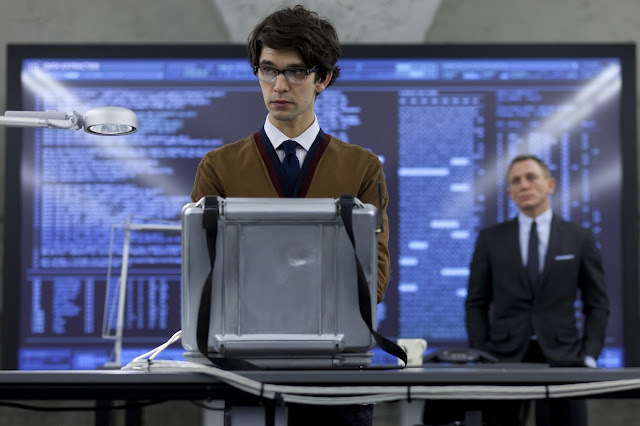 After being absent in the previous two films we get Q back in the form of Ben Whishaw who plays the part with just the right amount of geekyness. 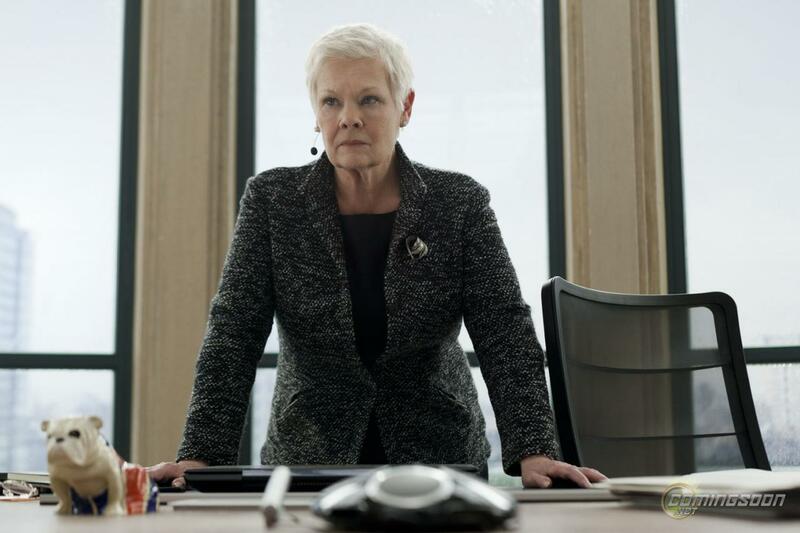 But as with all the Bond films we expect a villain of merit and we are not disappointed. 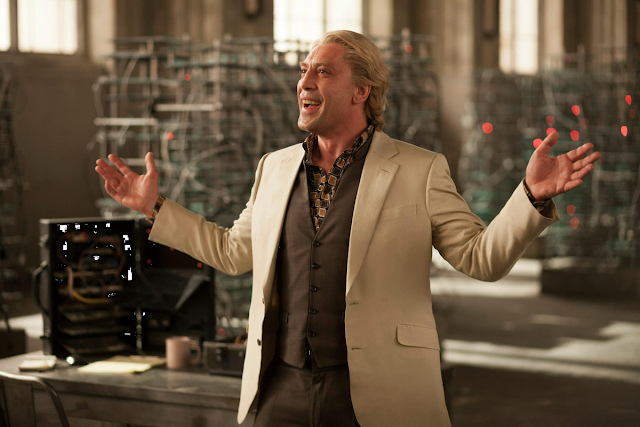 The well known Spanish actor Javier Bardem appears as Raoul Silva, one of the most unsettling villains we have seen in a Bond film, a cross between Anton Chigurh, who he played in the Coen Brothers film of No Country for Old Men (2007), and Robert Shaw’s Red Grant the blond haired SPECTRE assassin in From Russia With Love (1963). Photographed by probably the best DOP in the world Roger Deakins whose third film this is for Mendes, but best known for the eleven films he made with the Coen Brothers. The best scenes are these filmed in London and Scotland going from the drab moody streets of our capital city to the beautiful landscapes of Glen Etive in the Highlands of Scotland. This is not a film to be missed, it’s a film to be enjoyed allowing the thirteen year old in us all to dream of being a secret agent, driving the most expensive cars in the world and consulting with attractive women, although I am convinced there will be a female 007 one day, I can still dream and forget Cameron’s broken Briton for a couple of hours.